There are a lot of free third-party media players and PotPlayer is another great option for both video and music playback. While most people listen to streaming music or video now, there are occasions when you do not have a data connection and locally stored files are your only option. PotPlayer is an excellent media player that can handle a large variety of media file types. Playback quality will depend on the hardware the program is installed on, but in tests, PotPlayer had no problem playing a 1.6 GB MOV file, 865 MB MKV, or a 1.4 GB AVI. Smaller files should play back without any issues as well. You can toggle file information and see an in-depth breakdown of file information including CPU usage. 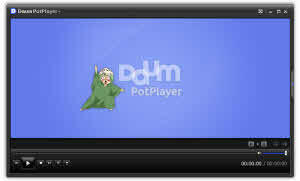 PotPlayer is a good alternative to first party media players. The stable build has a large variety of supported formats and the quality of playback is excellent for both video and audio.